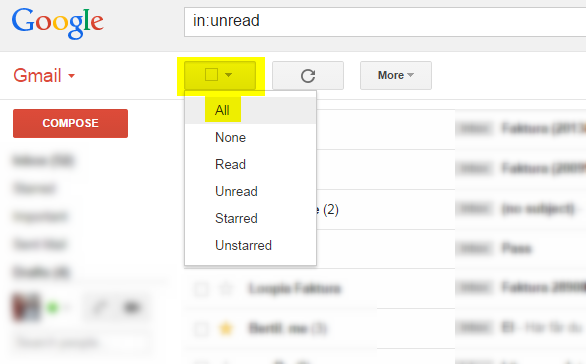 It’s easy enough to end up with too much unread email and gmail manages to hide some of its features quite well so here is a guide of how to mark all of your email as read. 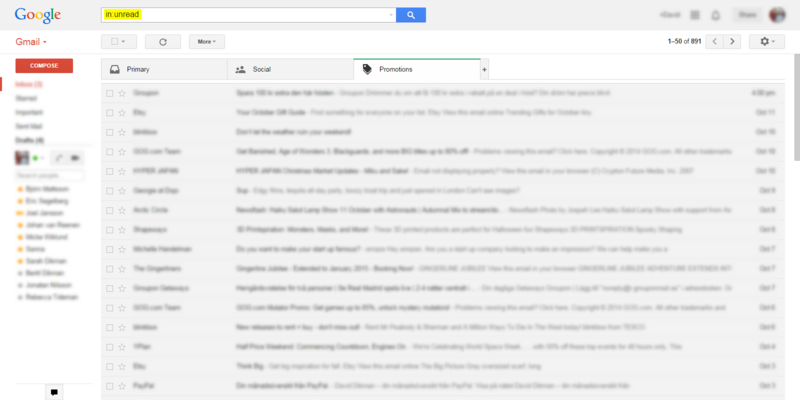 In the search field, enter in:unread and press enter, this will give you a paged list of all unread email. Press the small empty rectangle button, this will give you a drop down menu, select All. Now is where the magic trick comes in, when selecting all in this filter you will (if you have more than 25/50 email) get an additional option of selecting all conversations in the filter, even those not showing on the current page. Press More button and Mark as read. Since you have more mails being marked as read than those visible in the list gmail will give you a last chance to back out. If you’re still happy with marking them as read accept. That’s it, all done. Just a few steps although a bit hidden.